The Thor footage from Comic-Con leaked a few months ago, but now we’ve got an actual trailer on our hands. 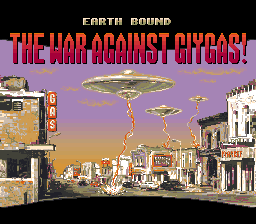 If you saw the bootlegged clip, consider this the whittled-down, polished version: You’ve got Chris Hemsworth hitting stuff, Anthony Hopkins bellowing, and villains and locations that look plucked from the Super Nintendo game Earthbound. Still, will those elements be enough to rise above a crowded 2011 schedule of superhero movies that includes The Green Hornet, Green Lantern, X-Men: First Class, and Captain America (and those are just in the first seven months of the year)? Then again, Thor’s not afraid of oversaturation — after all, love interest Natalie Portman promises to be just as ubiquitous next year, between her awards-show appearances, Thor, No Strings Attached, Hesher, Your Highness, and the distribution-seeking Love and Other Impossible Pursuits. If you like caped crusaders and Oscar–front-running ingenues now, here’s hoping you still feel the same way halfway through next year.